Every year, approximately one million people pile into Times Square to celebrate New Years Eve. The theater district around Times Square is home to dozens of theaters with nightly performances. Today, Times Square is home to 27,000 residents and attracts 26 million visitors each year. In April 1904, Longacre Square was officially renamed Times Square. Times Square is located smack in the middle of midtown Manhattan. Known for its vibrant atmosphere, Times Square is the famous place where the ball drops on New Years Eve, where music fans have cheered for their favorite artists outside the MTV studios, and where people come to secure discount Broadway theater tickets. In recent years, Times Square has had one significant change: parts of it are now closed to traffic and lawn chairs have been set up for both locals and visitors to take a seat and soak up the atmosphere. Many travelers set foot in Times Square and wonder how it became the fascinating destination that it is today. The square made its premiere in 1904 when the name was changed from Longacre Square to Times Square in celebration of the opening of the new headquarters for the New York Times. The reputation for theater in Times Square dates back to World War I, when there were 113 productions in the 43 theaters during the 1914 – 1915 season. Today it is still an incredible center for the performing arts in New York City. Some travelers wonder what is there to see in and near Times Square beyond the big billboards and neon lights. From this central location in Manhattan it is possible to wander and see some of the city’s best-known sights. 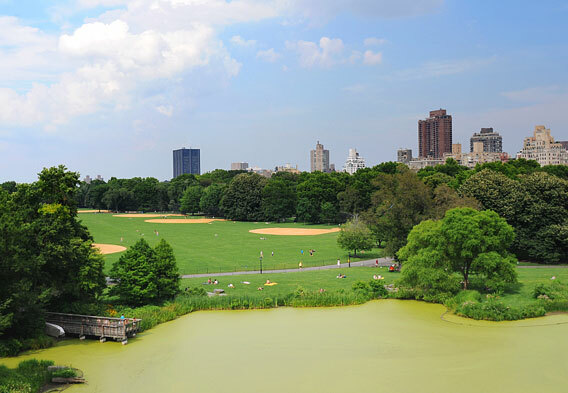 Central Park is a short stroll away. Here you can enjoy a relaxing picnic in the Sheep’s Meadow or check out a memorial to John Lennon. Other popular things to do in Central Park include taking a horse-drawn carriage ride, ice skating in the winter, or visiting the Central Park Zoo. Rockefeller Center is a particularly popular attraction during the winter season when visitors flock here for the chance to go ice-skating and admire the massive Rockefeller Center Christmas tree. It is also possible to take an elevator up to the “Top of the Rock” for incredible 360 degree views of Manhattan, rivaled only by the Empire State Building. 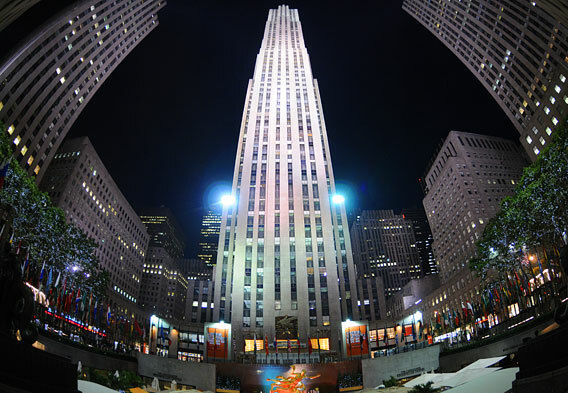 One reason to check out Rockefeller Center early in the morning is to watch (from outside) a live taping of NBC’s “Today Show.” During warm weather months, there are often outdoor segments and special music performances. 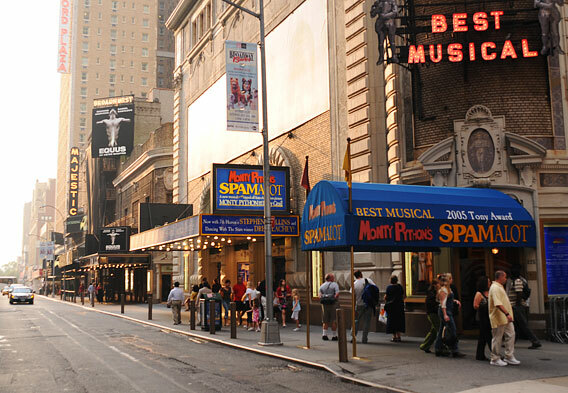 Many Broadway shows are also located within a short walk of Times Square. Whether you want to see the latest hit show or a classic Broadway musical, you will find both options in the theater district. Each day, discount tickets are available at the TKTS booth in Times Square. You can also go directly to the box office of one of the dozens of theaters in this district if you’re looking for last-minute tickets to a particular show. Times Square is a popular New York destination all year long, but New Years Eve is the single biggest night to hit these streets. Every year, an estimated one million people fill Times Square to be a part of the annual celebration of bright lights and cheering festivities. Many visitors wonder what else happens on New Years Eve beyond the ball dropping. If you’re planning a visit to Times Square on New Years Eve, you will also enjoy live musical performances, an incredible lights display, and one of the biggest celebrations of balloons and confetti on the planet.